The Buffalo Sabres, along with the rest of the hockey world, are in mourning after the passing of Pat Quinn. The 71-year old passed away on Sunday, after a lengthy respiratory illness. However, it was as a coach that Quinn really made his mark, leading the Philadelphia Flyers and the Canucks to the Stanley Cup final, in 1980 and 1994 respectively. He also coached Team Canada to several gold medals including the 2002 Winter Olympics, which was their first Olympic gold in 50 years. Even though the Hockey Hall of Fame committee member was never directly involved with the Sabres, members of the organisation still fondly remember him. 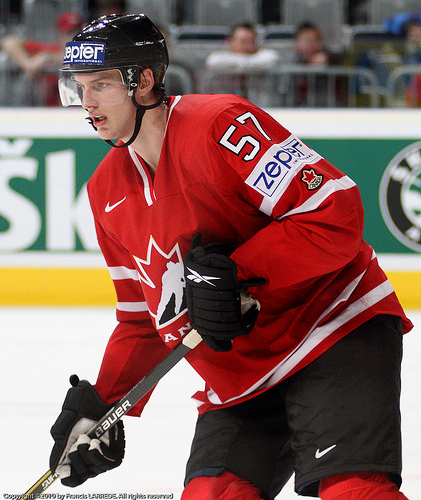 Cody Hodgson and Tyler Myers both won gold medals in the 2008 under-18 World Championships and 2009 World Juniors, while playing for Quinn. Sabres head coach Ted Nolan also reflected on Quinn after practice on Monday: “Pat’s one of those guys that was almost like a father figure to a lot of younger coaches… He was a very intelligent man and a very caring one.